You’ve never felt diamond-like natural beauty with your whole hand. You’ve never felt precision-sculpted glass on both sides. You’ve never felt the aesthetic joy of Zen’s signature concentric-circle pattern, or the tactile excitement of spun-cut etchings. All this because you’ve never felt the ZenFone 3 5.2. It’s time your senses felt exquisite design. It’s time for ZenFone 3 5.2. 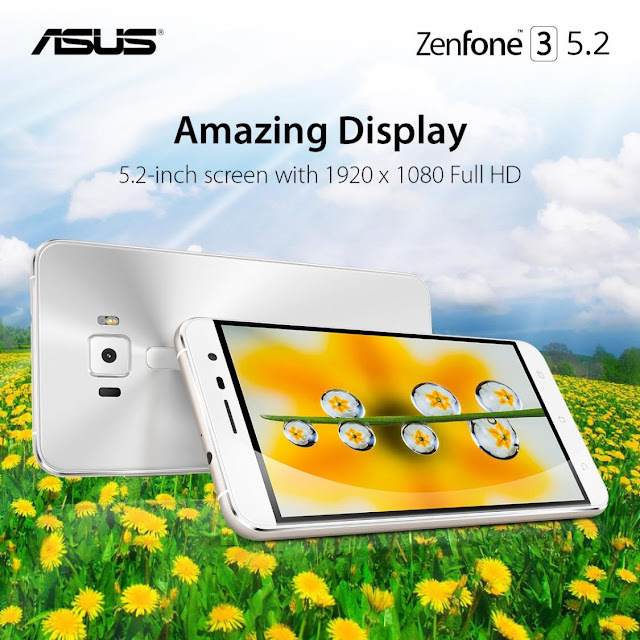 ZenFone 3 5.2 offers elegant beauty veils monstrous power, including a 64-bit, 2.0GHz octa-core Snapdragon™ 625 processor, 4GB memory and desktop-grade Adreno™ 506 graphics performance. This powerhouse processor has revolutionary 14nm Fin Field Effect Transistors (FinFETs) to deliver full-on performance while reducing power consumption by 35%. Then, there’s the mobile and wireless speeds. ZenFone 3 5.2 has 4G/3G dual-SIM bay for complete flexibility for up to 300Mbps (Category 7) downloads via either card, and the latest 802.11ac technology for Wi-Fi connections that scream at up to 433Mbps. ZenFone 3 5.2 even offers accelerated charging, with a five-minute top-up adding two hours of talk time to the powerful 3000mAh battery — and reversible USB-C for any-way-up connectivity convenience! 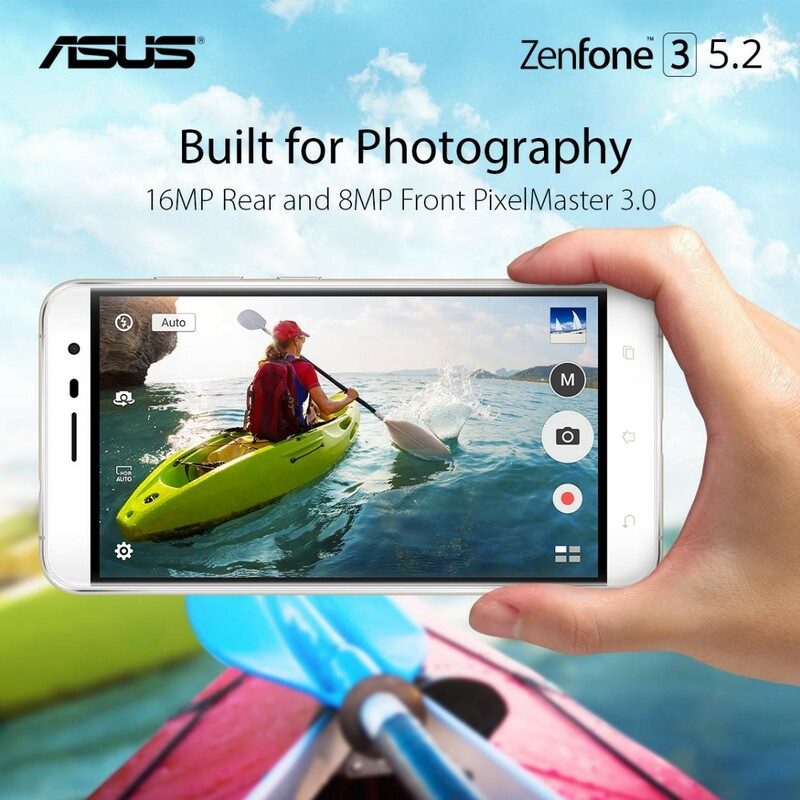 Next-generation PixelMaster 3.0 lifts ZenFone 3 5.2’s photography far above the smartphone norm. To capture real-world authenticity, PixelMaster 3.0 packs a 16MP camera with the latest Sony® IMX298 sensor, six-element Largan lens with a large f/2.0 aperture, and subject-tracking TriTech auto-focus for variable distance and lighting clarity in just 0.03 seconds — all protected by sapphire glass for literal crystal clarity that’s intensely resistant to scratches and damage. With both optical and electronic image stabilization for blur-free shots and video, color correction sensor for true color photography, and true 4K UHD video recording, forget everything you know about smartphone cameras — the PixelMaster 3.0 revolution is here. here’s a reason ZenFone 3 5.2 feels unique — and that’s the application of extreme-strength Corning® Gorilla® Glass on the front and back. This wonder of materials science is carefully tempered, machined and polished to be as clear as crystal, as smooth as silk, and incredibly resistant to scratches. We’ve also created a taper towards the edge, a delightful arc that feels as natural as your grip. ZenFone 3 5.2 is comfortable to hold and beautiful to behold — and all this in a premium metal frame that’s just 6.16mm thin. 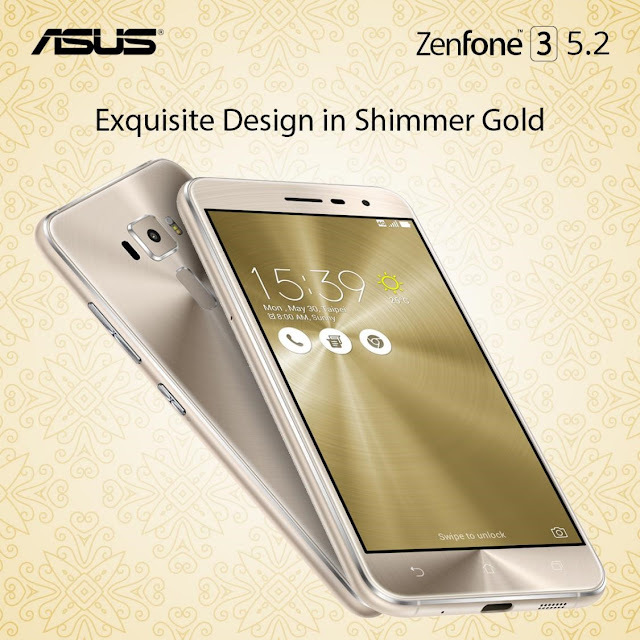 The shimmering gold design of the Zenfone 3 5.2 offers beyond premium look and feel. 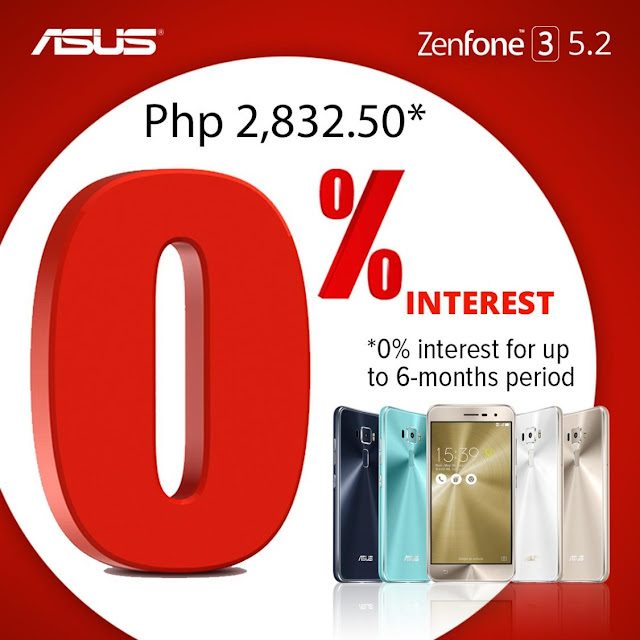 You can own a Zenfone 3 5.2 and only pay PHP 2,832.50 for six (6) months 0% interest. 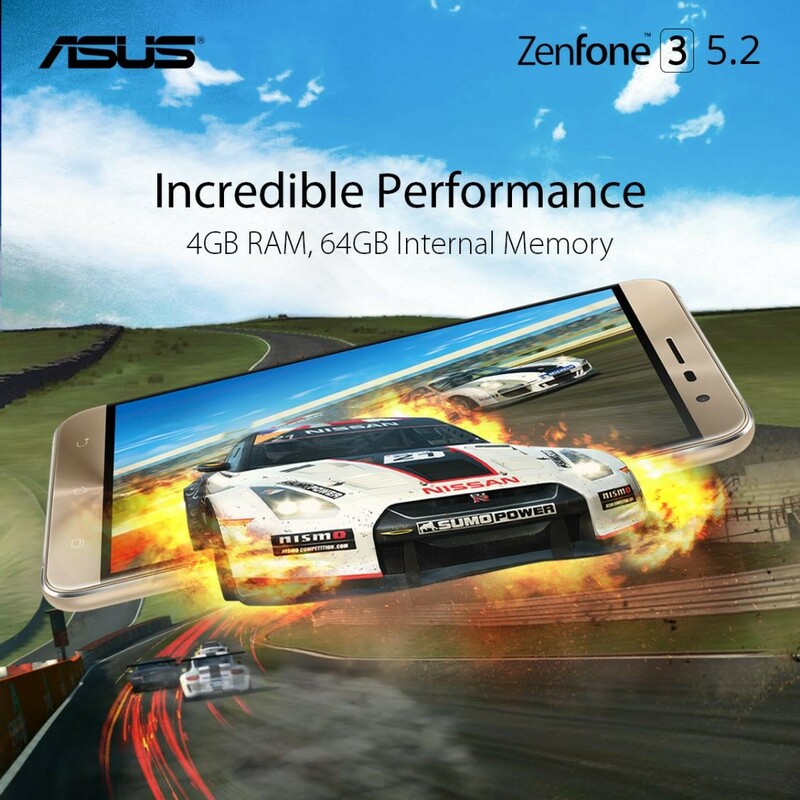 Promo is valid to select credit cards that are honoured in all ASUS partner stores nationwide!